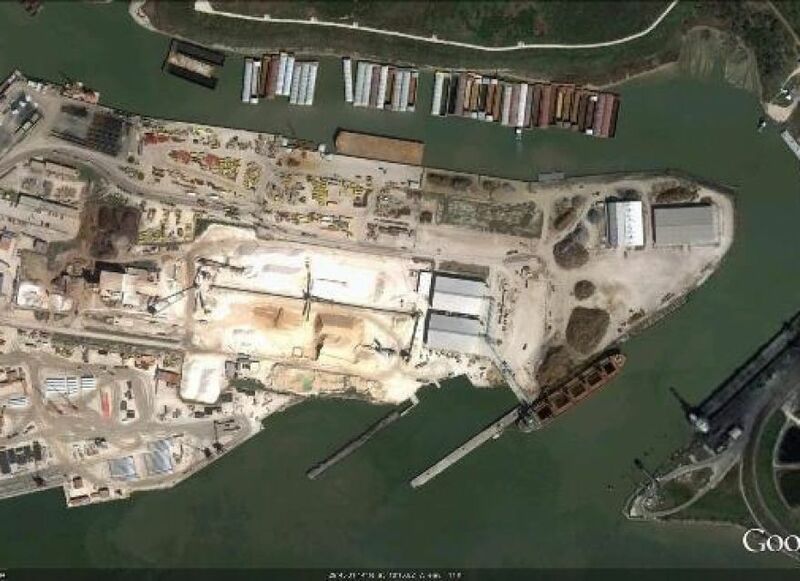 This 12 acre site is located at the confluence of the Houston Ship Channel and Greens Bayou and is used to transport cement and other products via cargo ships. R. G. Miller was retained to provide a detention and flood plain mitigation analysis as well as to develop construction plans that would allow the site to be used for a large salvage yard. The site is located in a flood prone area so design parameters were established that placed the buildings and storage areas above flood stage and the remainder of the site at flood stage. This mitigated the impacts of flooding on the infrastructure.